The spread of acute diarrhea is accelerating across northern Viet Nam and the Ministry of Health (MoH) predicts that the disease may claim more victims next month when the weather in the north becomes hotter. 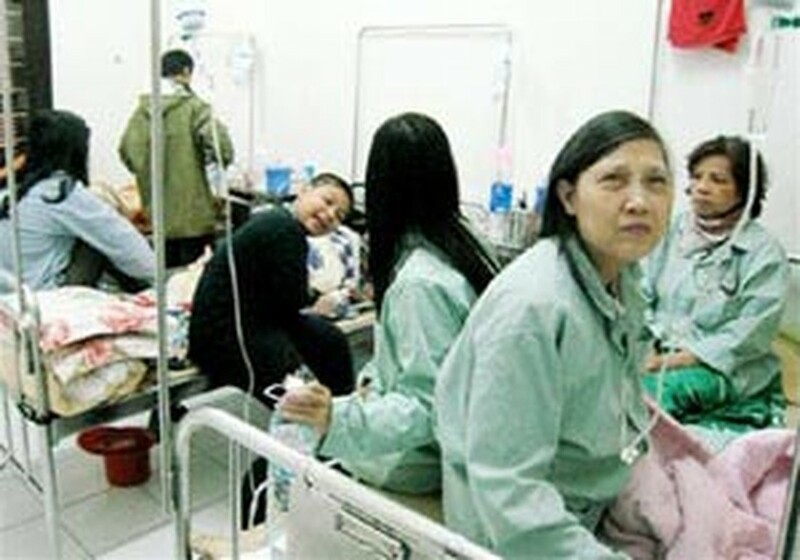 Cases of acute diarrhea have been reported in Ha Noi, Hai Phong, Bac Kan, Bac Ninh, and Ha Tay. Of the 57 patients diagnosed with acute diarrhea in Ha Tay Province, eight tested positive for cholera. One victim in the northern province of Thanh Hoa died of acute diarrhea after attending a wedding reception. MoH has warned people to beware of acute diarrhea in the coming month as hot weather will facilitate the spread of the disease. The ministry has authorized additional inspections, tight implementation of new food safety and hygiene regulations, and efforts to raise public awareness regarding the importance of disease prevention, hygiene, sanitation, and food safety. People are advised to take measures to avoid catching the disease, including following the food safety regulations, using clean water, eating only thoroughly-cooked food, and avoiding raw foods such as salad and duck blood pudding. An inspection last week found that many food manufacturers and food stores in Ha Noi are violating safety and hygiene regulations. At Nguyen Cong Tru Market, many store owners were unable to provide certificates of safety and hygiene for their food processing and trading facilities. Raw vegetables and shrimp paste are still served to customers at many food stalls. Moreover, three baskets of eggs were also found and confiscated at the market.